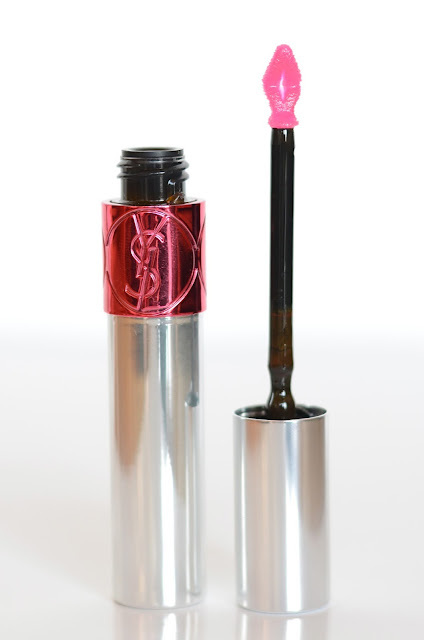 Today I want to talk to you about one of the latest YSL lip launches, the Volupté Tint In Oil. 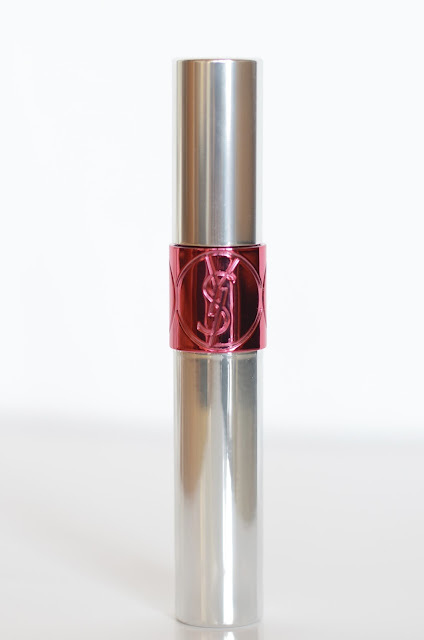 It was a complete impulse buy, fortunately, YSL is quite reliable, especially when it comes to lip products. The Tint in Oil are an entirely new formula for me, they remind me a bit of the Clarins Comfort lip oil (though I only briefly swatched it in store). It feels very liquidy, not sticky at all, quite comfortable to wear. I guess that if you were to put olive oil on your lips it would feel the same. I was expecting the oil to be a bit more nourishing (I have very dry lips at the moment) but is is only lightly so. So if you’re looking for something very nourishing, this isn’t for you. However, if you’re looking for something that gives a little bit of TLC you can keep reading. As my lips need a bit more TLC I actually apply the Nuxe rêve de miel before applying the tint in oil and I was surprised to see that the two work very well together ! They have the same delicious scent as the Volupté Sheer Candy, so it’s a pleasure to wear it. The applicator is slightly bended and hugs the lips perfectly. What is really great with this lip oil is that after application the colour starts to develop and becomes darker and brighter and turns into a stain. Indeed, if the glossy effect lasts only for a few hours, the stain will stay all day and fade very nicely. What’s more is that you can really build up the colour by applying more coats. The packaging is of course brilliant, as always with YSL. I like the coloured ring that indicates the shade. I picked up shade n°5 Cherry my Chérie which is probably the brightest of the bunch. When you first apply it it looks quite sheer but it really develops into a beautiful fuchsia pink. All in all, I’m really happy with this tinted oil. I was expecting it to be a tad more nourishing on my lips but it is still very comfortable to wear, the colour is truly gorgeous and so long-lasting that in the end I really don’t mind that little disappointment. Have you tried these ? What do you think ? Well if you have the opportunity to give it a go then do !